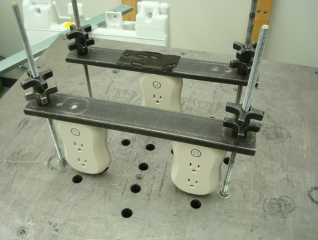 Vibration Testing examines the conditions experienced during a product’s functional life. It also considers the environmental factors encountered during storage and distribution — which can vary greatly. For example, parts of an aircraft or military vehicle must stand up to heavy vibration levels and strong accelerations. It’s equally important that they’re able to withstand the pressure of being stacked during storage. During transportation various shocks and random vibrations occur as well. Test applications include transportation load simulations, fatigue due to vibration, reliability testing, fragility and package testing, among others.